Mint Dental Works (Houston) - Book Appointment Online! modern & mindful dentistry Our mission is to serve our Rice Military neighborhood and the surrounding communities, providing our patients with the highest level of mindful, honest, comprehensive dental care in a personable, comfortable environment, utilizing state-of-the-art equipment. We strive to educate our patients about their dental health and do everything we can to make their visit as pleasant as possible. We are conveniently located in Rice Military, near the communities of Memorial Park, Camp Logan, Woodcrest, Crestwood, the Heights, Jackson Hill, Montrose, Midtown, and Downtown. We are also an easy stop for downtown commuters passing by on their way to and from work. 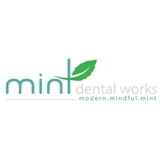 Please note we are a private practice and not affiliated with any "mint" chains. I went to Dr. Zarrabi for the first time last week and was very impressed. The office is beautiful and all of the staff is very friendly and personable. Dr Zarrabi goes over everything in complete detail and responds to questions with great detail.